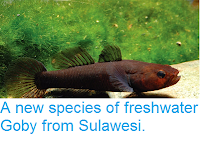 Sciency Thoughts: Pseudogobiopsis lumbantobing: A new species of freshwater Gobiid Fish from Java and Sumatra. 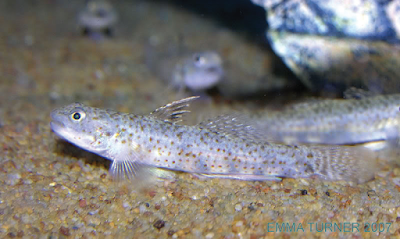 Pseudogobiopsis lumbantobing: A new species of freshwater Gobiid Fish from Java and Sumatra. The freshwater Gobiid Fish genus Pseudogobiopsis is found from Thailand southeast to Papua New Guinea, though it is best known from the European aquarium trade, with collectors frequently sending professional ichthyologists photographs of unidentified species for identification. 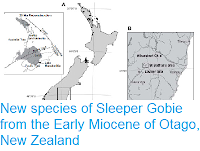 In a paper published in the Raffles Bulletin of Zoology on 1 June 2017, Helen Larson of the Museum and Art Gallery of the Northern Territory and the Museum of Tropical Queensland, Renny Hadiaty of the Museum Zoologicum Bogoriense of the Indonesian Institute of Sciences and Nicolas Hubert of the Institut de Recherche pour le Développement, describe a new species of Pseudogobiopsis from the freshwater drainages of western Sumatra and western Java. The new species is named Pseudogobiopsis lumbantobing, in honour of Daniel Lumbantobing of Jakarta, who collected the first specimens from the wild that were directly brought to the attention of scientists (although a number of aquarists had previously sent Helen Larson photographs of similar Fish of unknown provenance). The species is described from eighteen specimens, ranging from 18 to 33.5 mm in length, pearly grey in colour, with a with a white belly and a scattering of small orange spots. Captive specimen of Pseudogobiopsis lumbantobing, imported via Singapore. Emma Turner in Larson et al. (2017). 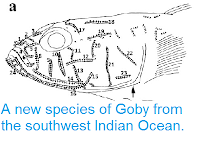 This also potentially solves the mystery of a painting by Kuhl and van Hasselt, made between 1820 and 1823, of an unknown Gobiid Fish from Java. Unfortunately the original of this painting is in the collection of the Naturalis Library, which is currently undergoing renovation, so that the picture was in storage and unavailable for inspection prior to publication of the paper. Apakah Anda berpikir untuk mendapatkan bantuan keuangan, apakah Anda benar-benar membutuhkan pinjaman mendesak, apakah Anda berpikir untuk memulai bisnis Anda sendiri, Anda dalam hutang, ini adalah kesempatan Anda untuk mencapai keinginan Anda karena kami menyediakan pinjaman pribadi, pinjaman bisnis, dan pinjaman perusahaan , dan semua jenis pinjaman dengan tingkat bunga 2%. HURRAY !!! Hampir sampai akhir tahun ini dan kami berada di Lucy Loan Firm, kami menjamin semua klien kami yang berharga bahwa mereka akan mendapatkan semua pinjaman individu dengan senyum di wajah mereka.